Countless people in Britain and Ireland live in a fog of fear and worry, where anxiety cripples their capacity to live normal lives. 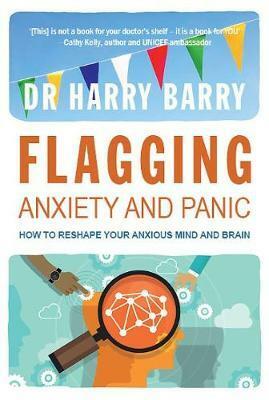 In Flagging Anxiety & Panic, Dr Harry Barry lays bare the hidden world of the person struggling with anxiety and shares what routinely goes on in the emotional mind of the person in difficulties. Whether you suffer from anxiety and phobias, or are a professional working with this population, this book will provide the latest treatment solutions for overcoming the fears that stand in the way of living a full, happy life. Flagging Anxiety is about solutions. Reading this book will result with a rich understanding of the buried world of anxiety, alongside practical solutions to combat it."